Confession: I'm starting to get to the point where I don't really feel 'cute' pregnant and instead am starting to feel massive. This is going to make taking, posing for and posting pictures much more challenging for me. I am also remembering that during the third trimester your body prepares you for the lack of sleep that is inevitable with a newborn which means I'm not sleeping a ton. Clearly, I'm not exactly looking super refreshed and full of life BUT I'm still posting so that's something. Not the most flattering pic of me; however, big points for comfort factor alone. I may or may not have professed my love for maxis in general, but they're seriously a go-to for the pregnant lady. It's a definite possibility that I will wear maxi dresses for the majority of the remainder of my pregnancy. Just sayin'. There's those tired eyes I'm getting used to. Well, at least I tried to compensate with some bright colors. That has got to count for something. See how much more awake I look with sunglasses on?! You can barely tell I woke up like 15 times to pee, brilliant! So there you have it... I am going to try, at least to some extent, to document some of my outfits during these last 9ish weeks despite feeling huge. You look absolutely ADORABLE! I love that blue maxi, especially! I did a WIWW post but then realized I hadn't taken any pics of my outfits, so I switched it up a little today. I'm so excited to follow along with you on the last leg of your pregnancy journey. thanks! I liked your post today, at least you were still organized enough to post!! I've been guilty many a times with forgetting to take pics! I'm so jealous of your maternity wardrobe. Seriously I wore the same dress everyday for 4 pregnancies. Not really but you know what I mean. I get to see you Sunday - Yay!! this time around is MUCH better than last... yay for cute preggo clothes! YAY for Sunday!!! Can't wait to see you!! You have the cutest maternity outfits! That cobalt blue maxi looks great on you! Stop by and link up with How I Style It - today's theme is maxi skirts and dresses! thanks Jill, I will head over and linkup with you ladies! I think you look fantastic!! You have the cutest little outfits and still manage to look very put together. :) I love the blue maxi and my favorite look is the mint top with the patterned leggings and wedges! thanks Erica, I guess I can still be huge and somewhat put together!! I love your floral leggings and yay! Your tree is turning pink! thanks Deena!! The skinny tree was a mother's day gift and it's already blooming like crazy!! You are absolutely beautiful, Shaunacey! I love how you're styling your bump. And your mini is adorable. thanks Tif! Was happy to link up, and loved all your maxi stylings - great inspirtation! I might have to wear that maxi for my maternity pics this weekend! Awww these are sweet photos. You are looking great mama! and your daughter looks just as cute. 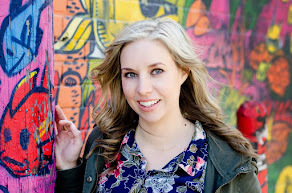 thanks so much, and loved linking up! You are gorgeous, and being pregnant doesn't change that! Cute outfits :)! you're such a sweetheart as always Lana!! I know you don't feel it, but you look INCREDIBLE! 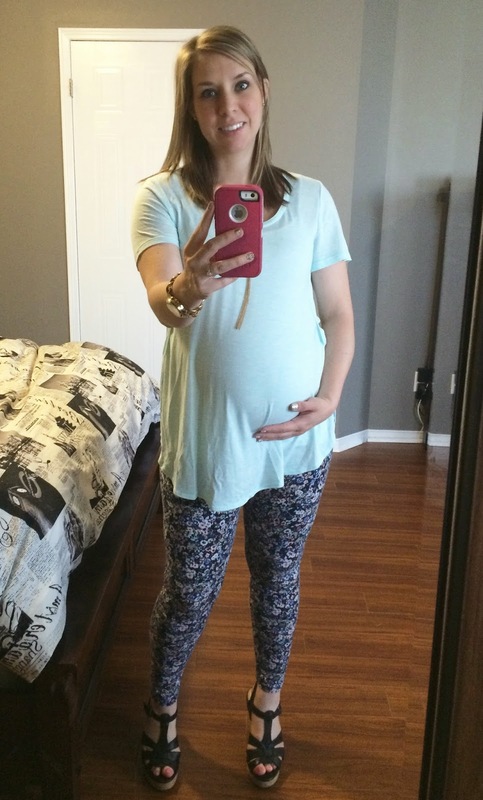 And you are seriously amazing for dressing that bump in so many cute outfits! If you came to my house, unless you saw me out in public, I'd be wearing Eric's basketball shorts and some random, mismatched shirt, ha ha! And I don't even have a real bump to fight with yet. Ugh! lol well in the house in one thing! 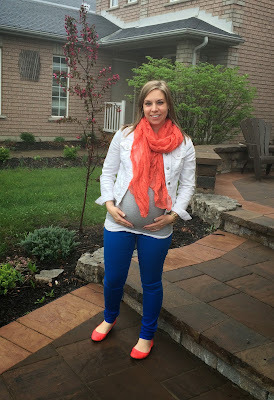 I also have a funny feeling your bump is going to be styled SUPER cute! You are the cutest pregnant. I did not know that was you don't sleep well in the third trimester, I just thought it was because I was huge... but, it totally makes sense! I am wishing you a baby that loves to sleep! Nathan was colicky and Autumn (my second) slept SO much that I called the doctor and asked if it was normal. Those two are still opposites. :) You look great in ALL of these outfits, the first and last ones are my faves!! yes, you're right cool and comfortable is so important, especially the further along you get!